An Extremely Rare Alexander the Great Silver Tetradrachm from Babylon! Anyone familiar with the Bible knows about Babylon, but not everyone realizes it was an actual city that existed for many hundreds of years. In fact, it was not only conquered by Alexander the Great shortly before his death in 323 BC, he actually died there in June of that year! 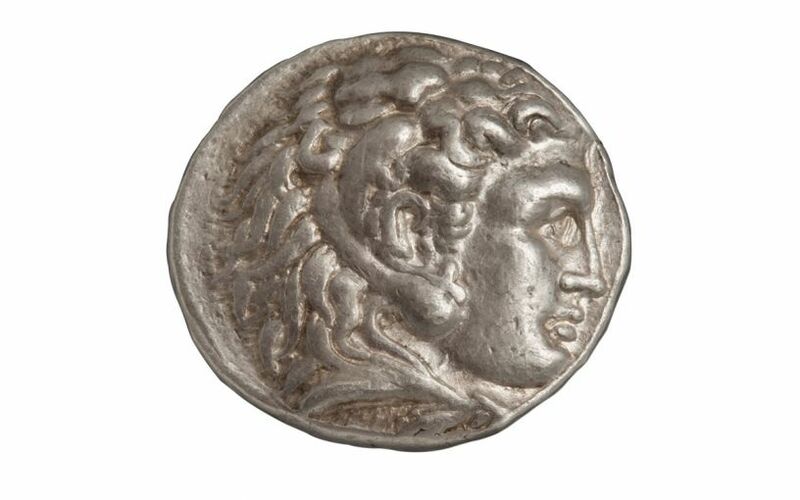 The city was quick to honor him by striking this silver tetradrachm shortly after his death between 323 and 317 BC. The obverse of the coin shows the head of Hercules wearing a lion skin headdress and facing to the right. The reverse features Zeus enthroned, facing left and holding an eagle and a scepter, with a head of Helios in the left field. 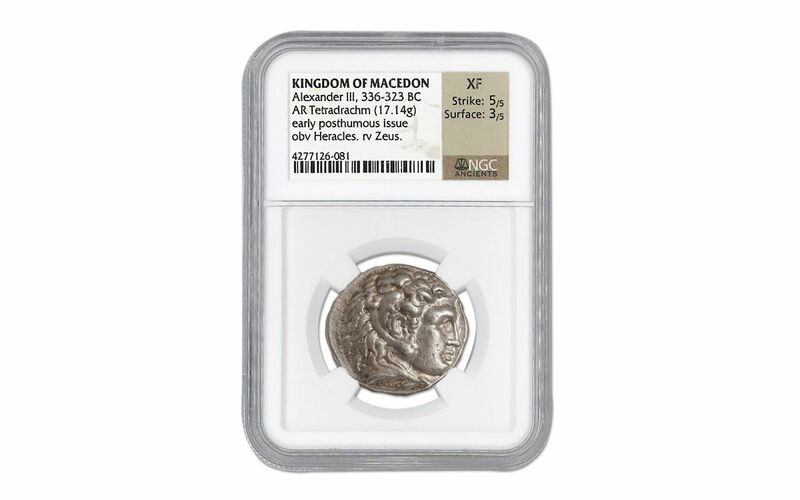 Numismatic Guaranty Corporation (NGC) grades this coin Extremely Fine (XF) with further designations that grade the coin's strike as 5 out of 5 and its surfaces as 3 out of 5. Fewer than 10 of these Babylon Early Posthumous Alexander III Silver Tetradrachms are known to exist. 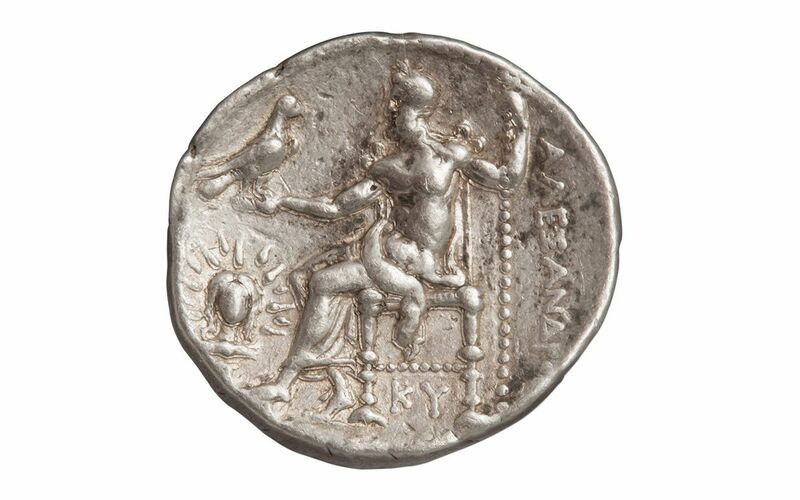 Of them all, this particular silver tetradrachm is among those with the best condition. In a search of all of the over 1,660 major ancient coin auctions of the past 16 years, only two other coins of this type have been sold. Secure this coin for your collection now!